I’ve provided highlights from some very informative presentations, discussions and Q&A. Thanks to our understanding of oncology, the 5-year survival rates in cancer have improved to 70%. Targeted therapeutics represent 66% of revenues (even though they represent only 40% of all drugs on the market). Sidney Taurel, Chairman & CEO of Eli Lilly believes that targeted therapeutics can significantly drive up market share. Without compannion diagnostics, a cancer drug's market share would likely remain at 10-20% of a larger base. With companion diagnostics, the market share can rise to 80-95% of the nice; and provide 200-400% more revenues from the product depending on the niche covered. There are currently 60 clinical trials for products that are already on the market in oncology that are recruiting for biomarkers. So interest in biomarkers is clearly growing. Oncology is a crowded marketplace with hundreds of drugs in development. Competition is intense, but that should not dissuade innovators and researchers. 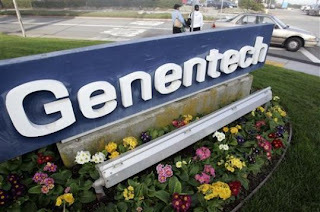 Genentech, the 800-lb gorilla in oncology drugs was in trouble not too long ago. Genentech raised $35MM in 1980, and produced four products since then. 1996 – Rituxan approval (was discovered at Idec), 1998 – Herceptin, 2004 – Avastin and 2004 – Tarceva. Two of Genentech's blockbuster drugs weren't even discovered there. So focus on the size of the market opportunity and the large unmet need. There was a good discussion around standardization of diagnostic tests and innovation. One panelist said that even if Her 2 was arguably not the best antibody for Herceptin, it was the first. Instead, Fish tests may be better (in-situ hybridization) but these remain hard to implement and read. The panelists cautioned that the diagnostic should not be tied to the drug too early, or patients end up with sub-optimal tests with little innovation. There is a problem with companion diagnostics. There is no standardization in the labs. When companies say – “Look for a 3-log reduction”, no one does it because they don’t know what this really means. The tests are not repeatable. RNA degenerates fast, so tests that involve RNA cannot be transported far. There is no input from industry on standardization of these tests. This makes it hard to scale. Pharma and diagnostics companies should focus efforts on creating standards at the labs. Home brews in particular should be treated with caution. Secretary of HHS says that there should be some oversight. ASCO/CAS said that Her2 Testing standards need to be adopted. Everyone in the industry is adopting the tests; need to drive standardization in the way people understand and use them. The good thing is that we’re finally getting smart about discovery in cancer. Biopharma is one of the last things that America does well. In fact, we can tell now if we’ve hit the tumor target with six hours; this is real innovation. However, diagnostics are important but remain a challenge. Europe is changing the way we pay for drugs. In the UK recently there was a landmark agreement where Velcade was approved for Multiple Myeloma. However, it came with a twist. The UK government said if it does not work, it would not pay ! Panelists agreed that companies should be incentivized to do deals like this, which would change corporate behavior and raise the bar on the drugs that are pushed by the pharma companies. There was a final word on clinical trials. There has to be a reduction in patient trials; FDA data needs are staggering - and rising with the recent withdrawals (read Vioxx). Finding companion diagnostics may be that way forward - because 700 patient studies at $30,000 each are inelegant and extremely inexpensive. Since every cancerous tumor is unique, innovators must find better ways to identify the right patients and hit those targets. We need more structure-guided drug discovery, and it should be used on every every project. Excellent presentations from Xanthus and Aveo Pharma. This presentation is intended to give you a quick snapshot of the country and the most important things that the country cares about, in less than 10 minutes. Download it here. Recently, India officially created the Indian Premier League for cricket. Its a bit like the soccer premier league in the UK, the NBA and the NFL in the USA. Since India is a cricket crazy nation, I expect that some of these teams will take on the brand, valuations and cache of global brands like the Yankees, Manchester United and the Lakers. Its unprecendented, because the league overnight has become worth $ 2 billion. Sony Entertainment paid $1 billion to acquire the rights for the next 10 years. Owners have pumped in another $1 billion to buy each of the 8 teams. I am sure this number will rise to 20 teams, as other cities get in the game. The money has been used to "acquire" (not sure what this means) and auction 80 international players. (Note: In international cricket, there are 8 teams of note, and 11 players per team, so basically all the top world players will probably be here). I wouldn't be surprised. Several players will make a million dollars for 44 days of work. Quite attractive. When you want to see where the money is in sport, follow the TV rights. India controls the money in world cricket, simply due to its population, and when a person gets into the Indian cricket team (the sport has 11 players on a team), he becomes an instant millionaire, as the franchise deals are significant. While Australia may be the world's best cricket team, 17 million viewers means that Aussie cricketers won't get rich playing cricket at home. Neither does anyone (even in England) pay attention to the irrelevant 4-day county matches in England, where top star was paid $1.6 million. However, the Indian cricket league will change all that, and its a long-overdue development coming twenty years after Kerry Packer, the Aussie, created a rebel league in Australia. 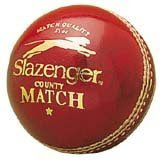 This one, unlike that, has real money and will result in a giant sucking sound, pulling top-ranked cricketers from around the world, to play in India. Its just a beginning, but NBA-style long-term contracts will start to dominate the sport, once the game gets underway. Cricket is an eccentricity the world does not understand. How can one play for 5 days and yet not produce a result. The game changed when we went to the 50 overs-a-side, 1-day games. However the new format introduced this year to the YouTube generation has been the real hit that will drive adoption. Twenty20 is twenty overs a side, and gets done in 3.5 hours. Everyone gets it, because we all grew up playing 20-over matches. We understand the excitement and the tension of twenty overs, and the recent World Cup (that India won) shows it. Superbowl and Baseball games are 3-4 hours long. VC and PE firms like DLF Private Equity, Temasek, India Value Fund, Macquarie Bank, Deutsche Bank and ICICI Venture wanted to get in the race. I guess these valuations were out of control for these teams. For sports teams to return their significant investments, they require stadiums, significant investments in buying players, a good merchandising and ticket-selling strategy, and ultimately a winning track record. In the US, teams move to the towns that will subsidize their stadiums. I doubt this will happen in India, so fiscal discipline is more likely. Sports is not great business for its owner as investments, but its good for the ego, and sports team prices will rise significantly with the fortunes of India's emerging billionaires. If we look at the US and UK for lessons, this has been a low cash-flow business because of the significant amounts of money that need to spent to buy the best players, and the amounts needed to build stadiums. However, valuations remain high, because owning sports teams are a dream for the mega-rich, and I suspect that in India, if the league is executed right, that it won't provide venture returns, but it'll do decently with at least 2x-4x for its investors. We'll have to wait on the red herring from a public IPO to learn about the business. Its going to all lie in the execution. For now, let the games begin.